On matchday two of the 2018/2019 UEFA Europa League group stages, PAOK travel to Belarus to play tricky opponents BATE Borisov. Ahead of the match, AGONAsport takes a closer look at the Eastern European club. Watch LIVE from AGONAsport: BATE - PAOK, UEFA Europa League matchday 2 on Thursday, October 4th. Details here. Founded initially in 1973, BATE managed to win three Belarusian Soviet era championships in 1974, 1976 and 1979, however four years after the final title the club was liquidated. Nevertheless, in 1996, the organisation was given a second chance and since then BATE have transformed into Belarus’ stand-out club. In a hugely impressive statistic, the Borisov club have become domestic champions 12 times in a row between 2006 and 2017, dominating Belarus and consequently participating in the UEFA Champions League on a regular basis. Back in the 2008/2009 season, BATE made the group stage for the first time in their history, performing admirably against Real Madrid, Juventus and Zenit Saint Petersburg. While BATE never qualified for the Champions League knockout stage, they picked up a number of headline results in the groups, notably beating Bayern Munich 3:1 in 2012 and Roma 3:2 in the 2015/2016 campaign. Last season, BATE competed in the UEFA Europa League group phase, finishing in fourth place of Group H with five points in matches against Arsenal, Crvena Zvezda and FC Koln. In Belarus, the team were incredibly close to losing their grip on the Belarusian Premier League trophy, but in a dramatic finish, they scored a winning goal in the final minute of stoppage time in the last game of the season to claim first place ahead of Dinamo Minsk on head-to-head record. Major honours won: 14 Belarusian Premier Leagues, 3 Belarusian Cups, 7 Belarusian Super Cups, 3 Belarusian Soviet era champions. Only 37 years of age, Alyaksey Baha was appointed BATE Borisov manager in June 2018, steering the club to the Europa League group stage after disappointment in the UEFA Champions League qualifiers. In his playing days, Baha spent two successful spells at BATE, winning two Belarusian crowns alongside one Belarusian Cup. In 2010, Baha ended his career with Dynamo Brest and turned his hand to coaching in 2011 by receiving employment in the BATE set-up. 32-year old veteran Ihar Stasevich is an attacking threat for BATE, netting seven league goals this season to make him the team’s top scorer. 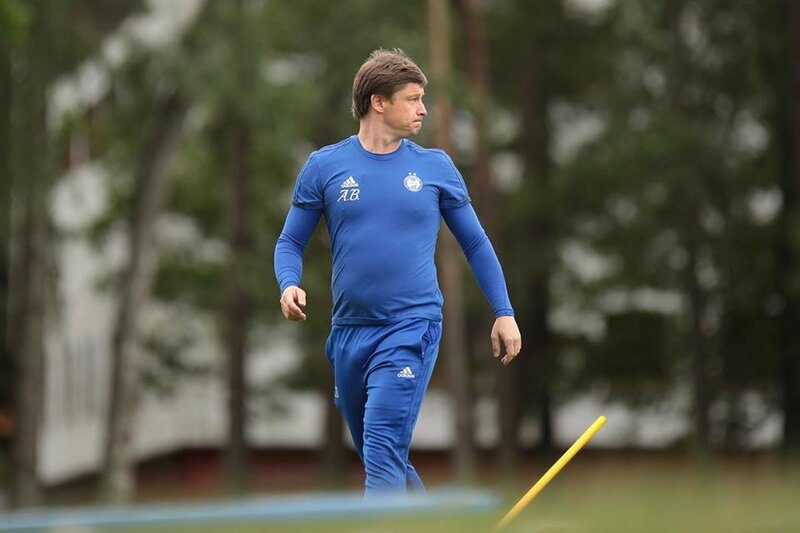 Progressing through the BATE youth system, Stasevich eventually broke into the senior squad in 2004, making 116 appearances and leaving in 2010 for Volga Nizhny Novgorod. Stasevich returned in 2015 and is a vital cog in the BATE machine. Internationally, he’s played in 40 Belarusian national team matches, registering four goals. Another key player for BATE Borisov is Mirko Ivanić. So far, the 25-year old Montenegrin midfielder has scored six goals in the 2018/2019 season, possessing the ability to break forward and contribute with important markers. When playing as a junior, Ivanic represented Serbia, however he decided to switch to Montenegro after he began to catch the eye with his performances in Borisov. Ivanic transferred to BATE from Vojvodina in 2016. Midfielder Alexander Hleb is a living legend of Belarusian football. Still playing at 37 years old, Hleb re-joined BATE for the fifth time this summer, aiming to help the club play well in Europe. In his heyday, he represented Arsenal, Barcelona and VfB Stuttgart, attracting the attention of the world’s best clubs with his calmness and array of dazzling skills. Hleb can still pick a brilliant pass when on his game. Unlike in the previous season, BATE are cruising towards the championship in Belarus, boasting an overwhelming 12 point advantage over second placed Shakhtyor Soligorsk with 22 rounds in the books. In Europe, the organisation suffered disappointment in the Champions League playoffs with a defeat to PSV Eindhoven after beating HJK Helsinki and Qarabag, but they recovered and earned three points against FC Vidi (2:0) in the first game of the Europa League group stages.